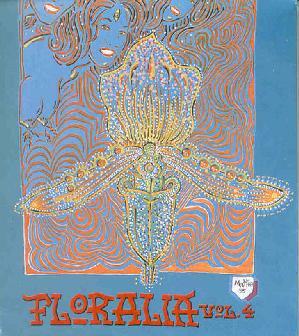 Various Artists - "Floralia Vol 4"
UK based Solar Mumuns play drifting acoustic psychedelia. A decent tune but not one of the better tracks on the CD. Somewhat stronger in the same realm are Mandible Chatter and Missy Roback, both from the US. But for trippy Raga styled psych, Fit & Limo from Germany and Kaminumada Yohji from Japan are the real highlights of the set. Fit & Limo have a similar acoustic style but a much fuller and trippier sound. Strumming guitars, percussion, and male and female vocals give this Raga tinged folk-psych tune plenty of color. And I really dig Kaminumada Yohji who I know from their Katana album that Aether Records released a couple years ago. Tripped out Raga psych with beautiful flowing sitars. Longtime AI readers will know Ektroverde, a Finnish band with close ties to Circle. This is one of the better tunes I've heard from them in a while, incorporating Krautrock stylings, cosmic jazz, and the classic Circle sound. From Italy, Effetto Doppler was formed by Dario Antonetti after the breakup of Kryptästhesie. Effetto Doppler's entry feels more rooted in progressive rock though it does include psychedelic influences. An excellent song and I'm hoping they release a full length soon. Floralia clearly covers the globe in its search for talent, and the comp includes two bands from Turkey and one from Russia. Baba Zulu is a side project from members of the Turkish band Zen. It's robotic in a Kraftwerk way... but not completely electronic. The bassline is hypnotic and adds a bit of drift to the quirkiness of the music. The later part of the song is the best when the female vocals get soulful while the electronics take off into UFO land. Also from Turkey are Replikas. Lots of variety on this song with its mixture of Can, jazz, trance, various ethnic influences, and lots of experiments with sound. Definitely a band to check out further. From Russia, Group 2012 plays space electronics with bleeping and swirling alien synths combined with howling atmospherics. I first heard this band on the on last year's Fluorescent Tunnelvision compilation and while this is similar to their contribution to that set, this track seems to grab me more. I also checked out their web site which includes photos of their live performances and it looks like they're quite a visual experience. Schwarz is Spain's contribution to the set and is one of my favorite tracks on the disc. This is a heavy band that brings to mind a punked out space rock King Crimson with bashing guitars, totally cosmic space synths, and continually shifting rhythms and patterns. Another band on my list to check out further. Dono Celeste is another Italian band whose entry is a very dark tune with more of a rock and prog element than many of the others. An excellent song. Murder In The Cathedral, from France, released an excellent album a few years ago on Soleil de Gaia and it's nice to see they're still around. The music consists of down ‘n dirty San Francisco acid rock with a bit of a prog rock sensibility. UK band Rainbohemians share common members with Solar Mumuns, though this is a much stronger tune. Trancy, dancey, rocking, jazzy, trippy... very Can influenced. I'd like to hear more. Trottel Monodream Experience is from Hungary and play dancey electronica mixed with violin, steady percussion, and a DEEP bass and lots of fun spacey freaky sounds. Actually they bring to mind a somewhat New Wavey version of Circle, but there's also a prog rock feel as well. It's difficult to describe but most excellent. Another band that I'll most definitely check out further. Finally, Lazily Spin is another UK band and they sound like they're telling a story. Kind of an avant-psych theater tune. Interesting. Overall, the Floralia's are a fantastic series and highly recommended, especially to those of you who enjoyed the Turn Century Turn and Flourescent Tunnelvision compilations. For more information you can visit the Mizmaze Records web site at: http://www.mizmaze.it. Contact via snail mail c/o Mizmaze Records; Via F. Villa, 6; 20134 Milano; Italy.